Taste and enjoy a range of distinctive and unique blends with this Coffee Pods Mixed Pack. 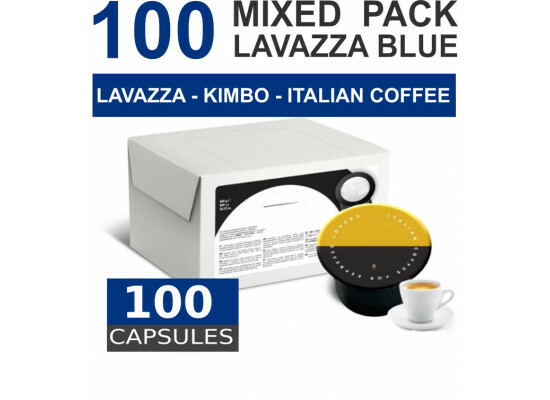 Capsules are compatible with Lavazza BLUE machines only! 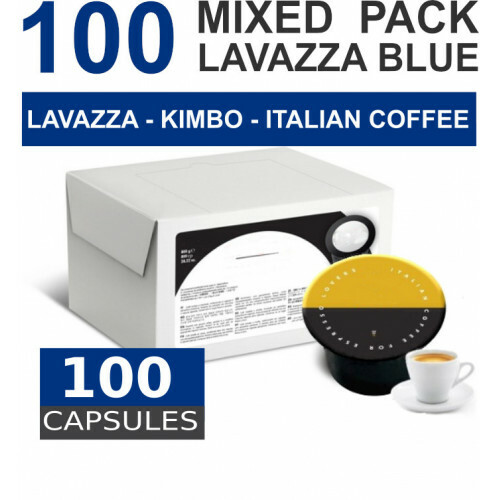 Included in the pack is a selection of Lavazza, Kimbo and Italian coffee capsules. The perfect early morning cup of Joe or that much needed late afternoon pick-me-up at a fraction of the price. Taste each unique blends of coffee in the Mixed Pack. Select a new flavour every day, or keep the family happy with everyone’s favourite blends. Serve as a 30- 40ml Cup of espresso shot or with milk.